My Cyclic Vomiting Syndrome: What Are Mitochondria? A simple organelle found in every cell but the red blood cells in humans, we're finding out these little guys are quite a big deal. Nearly all cellular organisms have mitochondria that serve as the nucleus of the cells. Called the "Powerhouse" of each cell because the mitochondria are part of the ATP or Adenosine Triphosphate system that transfers energy into the body. That's the food we eat, the nutrients then taken from that food, the body then supplied with energy from food. So if the mitochondria aren't working correctly nothing could go wrong, right? Wrong. 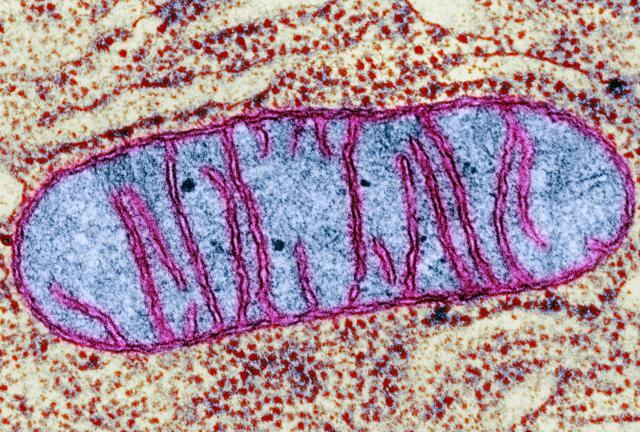 Mitochondria Dysfunction is showing to be quite a big deal--especially when it comes to those unexplained autoimmune diseases that keep popping up. One of those diseases, Cyclic Vomiting Syndrome, happens to be the autoimmune disease that I was diagnosed with three years ago. Once I found out I had a disease and not just a weaker immune system that caused me to get stronger flus, I did what Mark Whatney did in the epic film The Martian, I scienced the heck out of my illness. Because my illness is linked to dysfunctional mitochondria, is seemed completely logical to me to focus all my attention to my mitochondria. Well, I'm not cured. A scientist will have to do that, but I went from three Emergency Room visits per year, to one in the last three years. That's pretty awesome, considering I'm just a journalist who happens to be the daughter of an engineer and nurse who grew up in farm country. I should add that duct tape and wire fencing was a consideration for curing my disease, however; I thought better of it and started exercising, taking enzymes, and eating a healthy diet. I first heard about mitochondria when I read the book A Wind In The Door by Madeleine L' Engle author of the epic science fiction novel A Wrinkle in Time "Mitochondria are tiny little organisms living in our cells. That gives you an idea of how tiny they are, doesn't it?" "A human being is a whole world to a mitochondrion, just the way our planet is to us. But we're much more dependent on our mitochondria then the earth is on us. The earth could get along perfectly well without people, but if anything happened to our mitochondria, we'd die." Some pretty freaky insight for a book written more than 40 years ago. Not only did reading this book as a child give me an insight into something I had never heard of, it created a memory that as an adult would grow into a fascination that has for a time cured me of my chronic illness. That's the very definition of sparking a child's imagination. Thank you children's book authors. You do more than you know. Mitochondria are really that simple and that important. While I'm in no way cured of my disease, my symptoms have been essentially abated for now. All I did was focus on maintaining the health of my mitochondria. Every day I focus on eating a healthy diet, taking enzymes like Co-Q10 and L-Carnitine, and doing aerobic exercises. 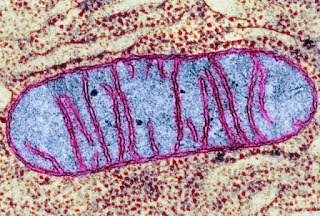 Mitochondria my be little, but they also are showing to be quite a big deal.